Monica Dumont’s review of The Little Bear and the Big Bear: A story designed to help teach children how to deal with frustration, anxiety and anger. 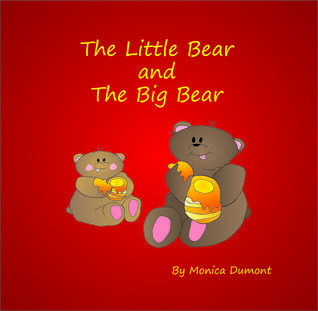 Monica Dumont's Reviews > The Little Bear and the Big Bear: A story designed to help teach children how to deal with frustration, anxiety and anger. The exercise at the end of the story is meant as a fun guide to help support caregivers and parents in assisting the child. Sign into Goodreads to see if any of your friends have read The Little Bear and the Big Bear.